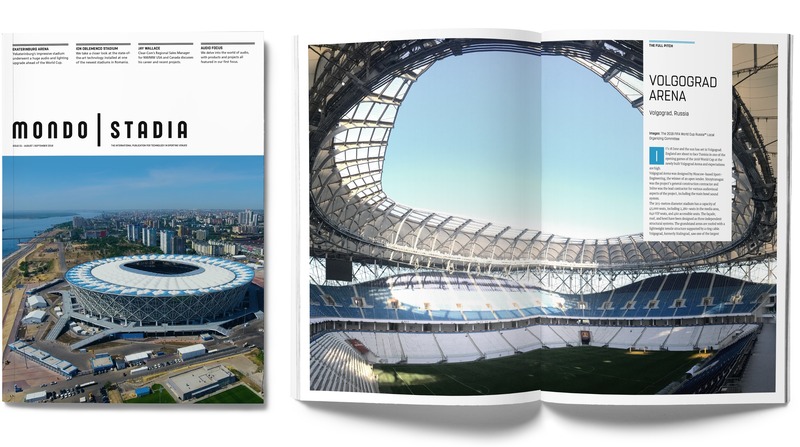 Since the original launch as a supplement, MONDO | STADIA has received hugely positive feedback from an industry that craves news on the latest technological developments, ideas and discussion from key figures and in-depth coverage of stadiums and sporting venues across the world. MONDO | STADIA, complete with a new design and features, will now deliver that on a bimonthly basis. We hope MONDO | STADIA captures the ingenuity and passion that goes into the incredible stadiums and sporting venues we see today. From original concepts to opening ceremonies, we want to showcase the creative uses of technology that make these venues tick. If you’d like to get involved with MONDO | STADIA, e-mail Sam at s.hughes@mondiale.co.uk.